The Commons Speaker, who has repeatedly hurled obstacles in front of Theresa May’s exit deal and ruled against Brexiteers, was “visibly honoured” at the claims. In an extraordinary interview with an Italian newspaper, the former Tory was told his crucial role in controlling what MPs can vote on in the exit process has made him a European “idol” with legions of “admirers”. Mr Bercow, a self-confessed Remainer, denied he was biased when ruling over Brexit proceedings. The Speaker admitted he had pursued the most powerful role in the Commons on the advice of convicted criminal Jonathan Aitken, the former Cabinet minister who spent seven months in prison for perjury and perverting the course of justice, after realising he did not like being a frontbencher because he is “not a very good team player”. 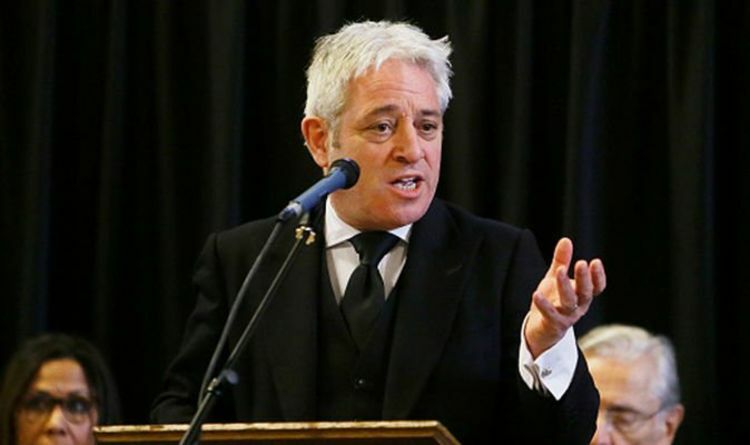 Mr Bercow was told “many people in Europe just love you”, particularly his “captivating English”, described as a mixture of Shakespeare and Monty Python. The interview in La Repubblica stated: “He also knows that Europe as a whole, having watched the theatrical debates in the Commons on television, has fallen in love with him, his cries and his sinuous rhetoric. Mr Bercow said he “came to be aware” of the interest in him “because friends have told me, my wife has told me that there was quite a lot of interest in Europe”. “And I've had a small number but quite a regular flow of communications from people in Europe, either members of the public saying that they've seen something and they enjoyed it or they want to express their opinion including some very nice positive verdicts,” he added. Mr Bercow admitted he “was too serious and too aggressive” when he took the job a decade ago. “And some days I'm better than others and I am human and I make mistakes and say sometimes say something wrong and I try to learn from it and not make the same mistake again,” he added. “You can't please everybody. But I just try to keep most people happy, most of the time”. Mr Bercow has faced calls to quit after “disgracefully” flouting parliamentary rules to help Remainers seize more control over Brexit. But he denied being biased in favour of MPs trying to derail Britain’s departure from the EU. “There was a time when Europhiles, pro Europeans, used to criticise me years ago for selecting urgent questions from Brexit supporters when they were in a minority,” he said.